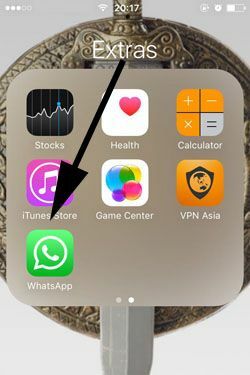 1-) Run WhatsApp Messenger on iPhone or any other iOS device. 2-) Tap on settings at the bottom menu of the application. 3-) After you have entered Settings, you will see “Chats” on the menu of the page. Please tap on the “Chats” as we have shown in the picture below. 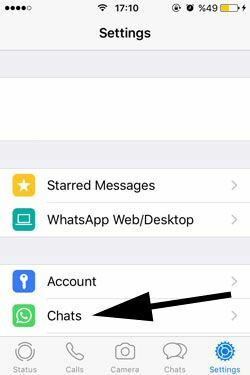 4-) After you have “Chats Settings” you will need to swipe down a little bit and you will see “Clear All Chats” with a red text. 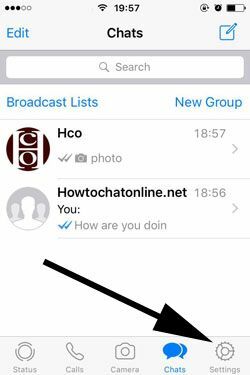 Please tap on that button and confirm that you want to “Clear All Chats”. That is it! You have cleared all conversation you have made on your iPhone device now. If you have any question regarding this problem. Please let us know.